One of the most lucrative add-on services in the industry is one of the quickest to master! Don't fall behind... Start training now! Reese Robert Beauty Professional Premiere Eyelash Extend Kit provides you with everything you need to start giving your clients runway ready lashes. You will be amazed at the profit! Professionals charge anywhere between $150-$250 for the first full set! The opportunities are endless. Weddings, Prom, photo shoots, etc! Adding Lashes is like adding "instant pretty" - according to Novalash CEO Sophy Mersze. So true! And it's one of the reasons why, according to Novalash, demand for luscious lashes has soared 500% in one year, making lash extensions the fastest growing, and most profitable market segment in the beauty industry. Easy to see why, as lashes give clients the instant gratification and visual improvement they crave. In this economy, clients are especially selective on what beauty services get their cash. They want to see results and they desire an immediate benefit that makes them feel beautiful. In our "live access to everything" society, clients demand services that can gratify their desire for instant improvement, confidence and compliments from others... Lash extensions deliver all of this! And lately... you can't open a magazine or watch TV without seeing celebrities, starlets and Housewives sporting this rich, lash look. It's so captivating, so alluring, it's thrust this beauty trend into a HIGHLY DEMANDED service nationwide. So with Lash Extensions being the newest and hugely profitable craze for Spas and Salons, I decided to sit down with Michele Horan of Revite Day Spa here on Long Island to find out what adding Lash Extensions services to her menu has meant to her small business. Q: Why did you decide to add eyelash extension services to your skin care business? A: Well, first and foremost it is a growing trend in the marketplace. Everyone in Hollywood was sporting eyelash extensions. I knew eventually it would trickle down into the masses. No one in my area was offering eyelash extensions at that time. I knew it could be huge! Which it was! Also, my clients were requesting additional services. 50% of my clientele receive eyelash extensions. It is a great way to expand your menu of services as well as your revenue. Q: How do you advertise? Tell us how you got the word out? A: The referral business is exceptional! I have yet to spend a dollar on advertising as I can barely keep up with my referral business alone. 50% of my eyelash business was through referral and up-selling current clients. 50% of my eyelash clients were through the Novalash website. This is one of the major benefits of being certified through Novalash. The opportunity of internet marketing via their website is extremely beneficial. I am not a computer whiz, I have little to no understanding of how internet marketing works, and I never imagined that new clients would come to me in droves from online searches! However, it works! Novalash successfully markets their product so that consumers want the service. Their website leads the business in my area straight to my spa. Q: How long did it take you to really "master" the art of applying lash extensions so flawlessly & to your clients' liking? Was it immediate? Was it easy? A: Mastering the technique of applying eyelash extensions does not happen over night. You might have the certification, but the technique takes time to master. I did not charge clients in the beginning, while I developed my technique. I admit I became discouraged at times, and even contemplated giving up! But, like with all things, practice makes perfect. The most difficult part of applying the eyelashes was using the right and left hand in unison. As a righty, I had to master using my left hand just as effectively as my right hand. Very frustrating! It was like being born again. I gave it up several times. Also, you must have a good eye! It's like clothing a woman...Every woman is unique. Every set of eyelashes needs to be customized to each customer’s style and requests. But persistence and practice paid off, six and a half years later, eyelash extension services has grown to comprise 50% of my business. 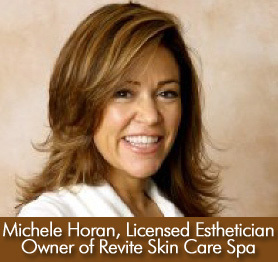 It is the reason my spa, Revite's Skincare is where it is today. Applying the extensions is an art, one that takes time and practice to perfect. Especially with the high profile client base I serve on Long Island, I knew my technique needed to be better than “good”; it needed to be exceptional. Q: What's your best advice for a spa business or esthetician looking to add eyelash extensions to their service menu? Anything they need to consider? A: The best advice I can offer to anyone looking to add eyelash extension to their business is to have patience, passion, and a love for making people look and feel good! Q: What made you choose Novalash? 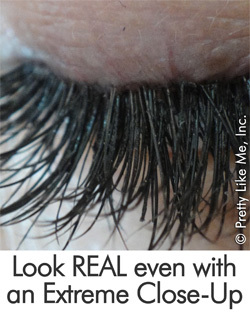 Have you tried other brands of eyelash extensions? A: I chose Novalash because they offered an adhesive that was pharmaceutical grade without formaldehyde. I have tried other brands; no other brand has the quality of adhesive and lashes as Novalash. They were the pioneers in the eyelash extension business 7 years ago. Everyone else knocked them off. Q: Is this the most profitable service you offer? A: YES! Eyelash extensions are by far the most profitable service offered in my business. The cost to price ratio is exceptional! Q: What has client feedback been like? Does this service have a very high satisfaction rate? A: 90% of client feedback is positive. 10% of clients do not return for fill-ins. This is a love hate treatment. There is some maintenance involved for the client. Q: What are the Pros & Cons to be considered when adding eyelash extension services to your menu? 2) Referral business, great way to really boost growth in all areas of your spa. 4) Creates curiosity and chat among other clients within the spa. 5) Your client represents you in the public eye. It is the best advertisement! Your business and reputation benefits! 1) Allergic reaction to the adhesive. Though rare, some clients can be very sensitive to the specialized adhesive. For this reason, there is a gentle formula available. 2) Some women just don't like the weight of an eyelash being on their eye. It's like hair extensions. It's not for everyone. Even if a client decides it’s not for them, I invite them back for skin care services with a discount. This retains the client as a customer for other services I offer that will please them. You always want to keep a customer happy. Q: How did you get to your current price point for a full set of lashes on a new customer? 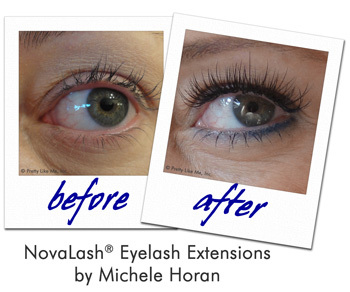 A: Upon being trained through Novalash in NYC 6.5 years ago, I was advised of market price points for a full set of eyelashes and fill-ins. At that time, a full set of eyelashes on Long Island was $300 and fill-ins $50. Now, due to product cost increases and demand, my price point for a full set and fill-ins has increased. I consider my price points to be extremely fair considering my skill level and treatment time. A full set now costs $350 and fill-ins are $70. My competition is priced much higher, but the quality of my work is exceptional due to my dedication and experience. I think I offer my clients a great value. If one were to have this treatment done in Manhattan, the cost would be twice the price! Q: Do you feel the eyelash extension trend is here to stay? A: ABSOLUTELY! The eyelash extension business is here to stay! Just as the hair extension is here to stay. It is a trend which will grow and evolve to the next trend; new colors, new lengths, new density, new styles, better quality lashes. I've already seen a remarkable improvement over the last 7 years. Once you have mastered the art of the application, the rest is a tantalizing and exciting service for your business to offer! Thank you Michele! I hope this article is helpful for beauty professionals considering offering this service. For more information on Novalash, please visit their website.